We’ve got you covered with our downloadable human resources resume, cover letter, and HR-approved writing tips. Human Resources Generalist with 6+ years of experience assisting with and fulfilling organization staffing needs and requirements. Aiming to use my dynamic communication and organization skills to achieve your HR initiatives. Possess a BA in Human Resources Management and a Professional in Human Resources certification. Implement effective HR policies to ensure all practices are in compliance with labor and employment regulations. Increased employee retention above 90% by rigorously maintaining a positive work environment. Develop targeted outreach recruitment programs to recruit more minorities and meet affirmative action requirements. Created a website with an embedded database and FTP functionality to enable online recruitment for the organization and reducing recruitment costs by 10%. Develop user friendly application forms and questionnaires to be used by the organization during staff recruitment and interviewing. Arbitrate labor disputes in collaboration with the legal department. Advised prospective employees on various tips and tricks that would assist them in gaining employment in the organization. Conducted several seminars for hospital employees to update them on employee benefit options. Invited 10+ motivational speakers and industry experts to give lectures and speeches to employees on new industry standards and how to build confidence and morale in the workplace. Updated 100+ employee records and job assignments daily. Relayed important messages from management to hospital employees quickly via word of mouth, memos and bulletin notices. 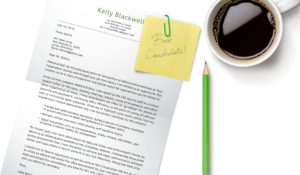 Follow these simple instructions to write the best human resources resume possible. Aiming to use my dynamic communication and organization skills to achieve your HR initiatives. In the last bit of the career objective, the applicant states their degree and certification in Professional Human Resources (PHR). HR certifications are becoming increasingly important in the industry. They establish your knowledge of the industry’s best practices and regulations. Most companies seek candidates with at least a PHR, while many prefer them to have a Senior Professional in Human Resources (SPHR) certification. It is vital to add any certification you may have to the career objective section. The career objective is the first bit of information your potential employer will notice, so it is important to come out of the gate swinging. Learn more about how to write a strong career objective here. For a professional resume, an additional skills section is a fantastic way to wrap up a resume. This section lets the employer know of any relevant skills pertaining to the job. A word of caution: Do not add skills that are not pertinent to the job. An HR employer does not care that you have five years of experience as a ballet dancer. However, in this example the applicant makes great use of their additional skills section. 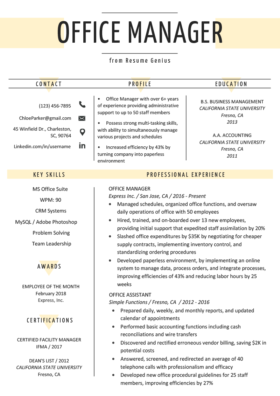 Skilled in Microsoft Office Suite (Word, Excel, Outlook, PowerPoint). In order to be an efficient HR staffer, you need to know your way around computers. Proficiency in Microsoft Office is a must for those in HR as it is a part of their daily routine. Staffers can get bogged down entering their employees’ information into databases, so being able to type fast helps speed things up. In the HR industry most work is done on Human Resource Management Systems (HRIS). HRIS is database software that allows those in the industry to manage employee data and payroll more efficiently. This applicant’s knowledge of two of the top HRIS systems will be extremely attractive to hiring managers. 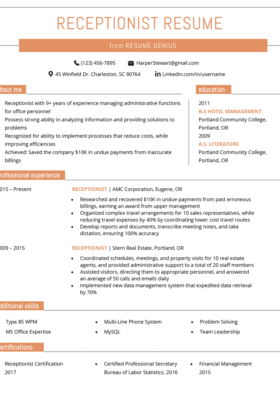 If you have any questions on the above sample or how to write a Human Resources resume please leave a comment below. Nice article It’s very helpful.